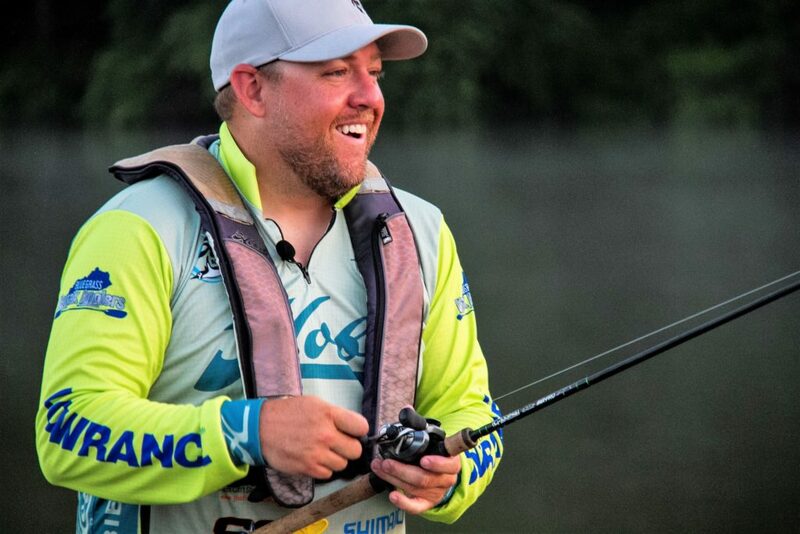 The post JIG FISHING 101 appeared first on Jay Wallen Fishing. 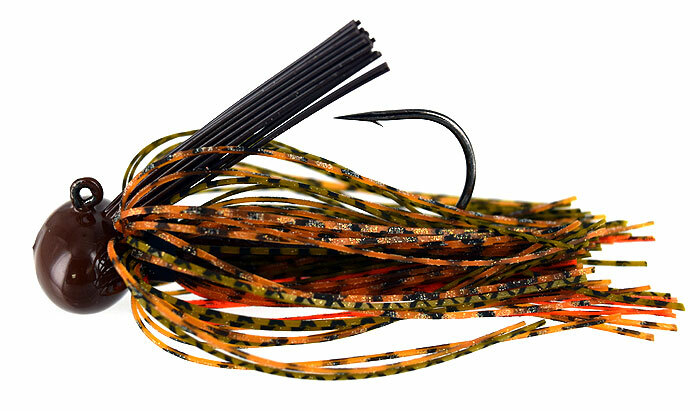 A jig is a lure that should have its place in your arsenal at practically all times. It’s one of the best, if not the best, of all season fish catching baits in existence. If you asked me to pick one bait to throw the rest of my fishing life, I’d say without hesitation, “the jig!”. For Jig Fishing 101 there are 4 main kinds of jigs with many variations: the football, flipping jig, casting jig, and the swim jig. These four are the main players and we’ll get into the details of what makes each of these shine at any given time. One of the great things about a jig is that you control where and how it’s fished. With jigs, you can fish it as deep or shallow as you want, in any way or style that you want. They are by far the most versatile bait that you will own. They are known to provoke larger bass to bite and you probably aren’t throwing it as much as you should! KY Lake bass caught on a 3/4oz Football Jig . One of the first and most important aspects of any jig is the color. I’m a firm believer that you should invest in fewer varieties of colors and instead invest in more of the RIGHT color jigs. I only use a few, mostly black/blue, Tennessee Craw (GP/Orange), Cumberland Craw (Brown/GP), Green Pumpkin Glimmer (Bluegill) and a shad variation or two. You really don’t need many other colors than these 4 or 5. I let the water color and temperature determine which color and which trailer I need to pair up. The thing about a bluegill, shad, crawfish, etc. is that no matter what the water color is they still look like a bluegill, shad, or a craw to the bass. So, I don’t necessarily buy into the thought of throwing super bright colors in muddy water. I like to stick to very natural colors even in stained/muddy water. I will however, throw darker colors like a black/blue for contrast. In cleaner water stick with the lighter colors like the Cumberland Craw. If you live somewhere where you deal with more stained water than clear, you may want to have 2 or 3 different of the darker color varieties and maybe just 1 or 2 of the lighter colors and vise versa. The football jig is quite possibly my favorite kind of jig because it’s responsible for some of my biggest bites. The football jig is shaped exactly like it says, the wide head is designed to be dragged across rocky or hard bottoms while having minimal hang up potential. These jigs really shine in post spawn patterns and deeper water. They weigh in a range anywhere from 1/2-1-1/2oz. 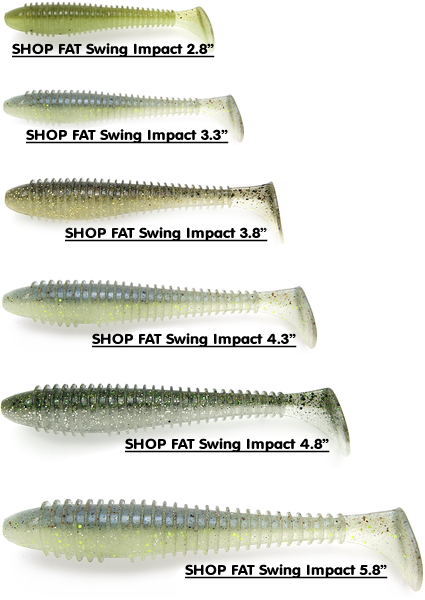 You want to have a heavy enough jig to feel and maintain bottom contact. The bite with this jig will likely come as it sits on the bottom as I call it “countin’ rocks”. Just cast it out to structure and make sure it hits bottom and slow drag it back, while taking up slack as you ease it along the bottom. This is the jig that was more or less responsible for winning the Hobie Bass Open on KY Lake in 2017. The casting jig is a general purpose jig since you can do anything you want to do with a casting jig. 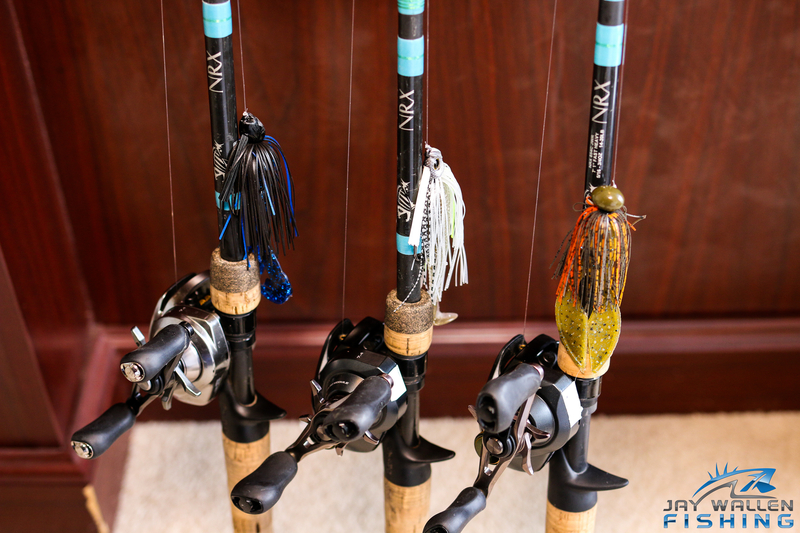 Different manufacturers make different head styles that would fit under the moniker “casting jig”. The Straight Shooter Pro from Picasso Lures is a great jig to get started with learning how to fish a jig and how to feel bites, etc. You can cast this jig on a ledge and bring it out to 35 feet of water just as easily as you can flip it into a bush in 2 feet. If you want to put on a trailer with more action and use it as a swim jig, it would work great for that too. A local KY made BC Lures Phantom Head jig is also a great all purpose jig. 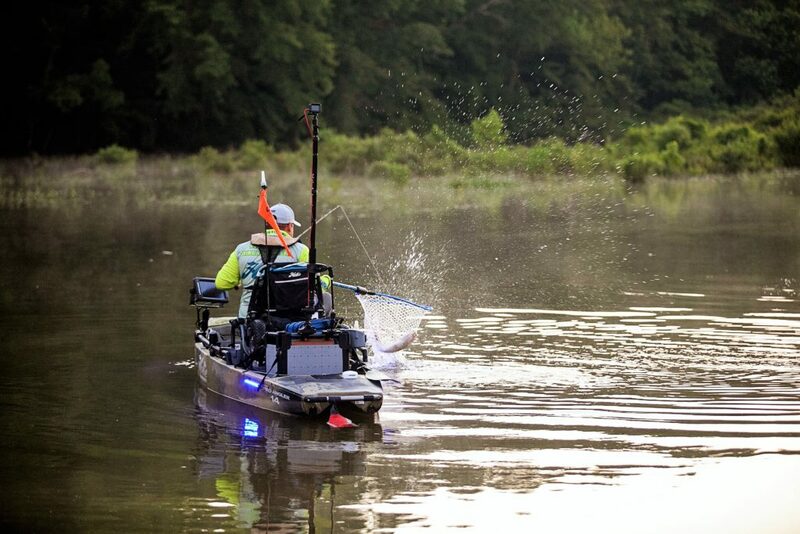 For those anglers who find themselves fishing insanely thick cover like heavy timber, thick grass, docks, etc. The flipping jig is the 4x4 that’s going to go into the nastiest of the nasty and bring bass out of it. These are typically stout, short shanked hooks with fairly heavy heads and thick brush guards to slip through cover. I typically use casting jigs more so than flipping, but this Straight Shooter from Picasso makes for a great flipping jig. You should have one tied on when the sun gets high and the bass get tight to heavy cover. 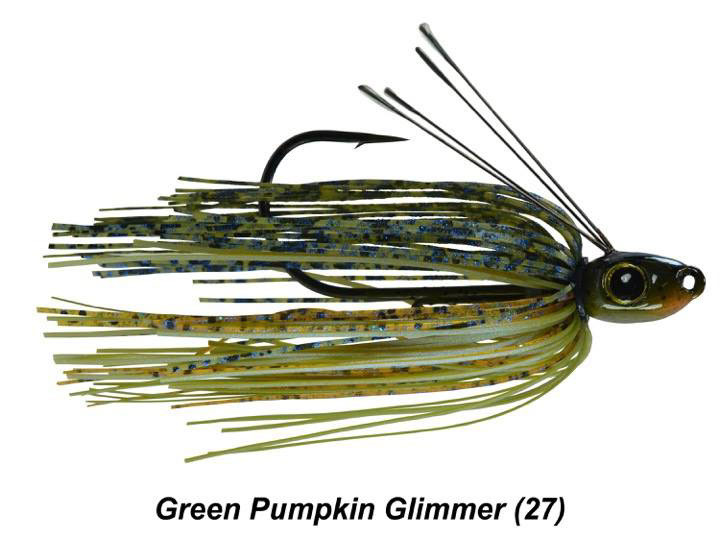 The swim jig is another type of jig that can be used all year long, however it really shines in the spring and the fall when the bass are relating heavily to shad and bluegill around shallow cover. They typically come shaped with a sharp nose and flat bottom to come through grass and cover easily while offering a wide wobble on the retrieve. The big difference between a swim jig and any other jig is that you aren’t really feeling the bottom with it. It’s fished more like a finesse spinnerbait or crankbait. Swim jigs really shine in clear water typically around submerged vegetation, laydowns and docks. I don’t get too carried away with the colors of a swim jig. Keep it simple with natural shad or bluegill colors with perhaps a hint of a brighter color mixed in. Simple really is better as you want to mimic the main forage in your lake as closely as possible. My favorite swim jig design is the Picasso Lures Swim Jig. The head design and the hook keeper along with the great skirt options make it a winner for me. Fish these jigs fairly fast with a high speed reel and snap them out of thick grass to trigger reaction bites. As with most jigs the trailer you choose is everything. Make sure the trailer matches the conditions. I will get into all the different types and applications of jig trailers next. Jig trailers are probably the easiest place to go wrong when fishing a jig. There are tons and tons of different options for trailers and without the right one your jig won’t put fish in the boat the way you want it to. The most important thing to remember about trailers is that it’s all about the action and rate of fall and the colder the water the less action and the slower the fall you want. Once the water gets into the upper 50’s in the fall I’ll start using a Zoom Super Chunk, as this is one of my favorite trailers. It works so well in cooler water because of how little movement the claws have. This moves water but not in an aggressive way and slows the jig down as it falls, giving sluggish bass a little longer to react. You can slow the fall down ever further by skewering the trailer instead of threading it. Crawdads in 50-ish degree water and colder don’t quite move very fast, so don’t make your jig move too much either. Once the water creeps back into the 60’s in the spring switch over to a Zoom Fat Albert Twin Tail or something similar with some vibration. In the depths of the summertime water temperatures some of the professionals who come to KY Lake will rig up 10″ worms or big creature baits on the back of football jigs and have some really productive days. Don’t be afraid to go big with the trailer, especially if you are looking for that bigger bite during the hotter months. Flipping jig trailers are meant to disturb as much water as possible. Here, I like the Strike King Rage Craw since the movement on the claws is intense and works great when flipping and trying elicit a reaction. I also like to use a Missile Baits D-Domb, when the bite may be a little tough and the fish aren’t responding to the action of the rage craw. You can use a variety of trailers on swim jigs like flukes, keitech swimbaits and twin tailed craws. I personally opt for the keitech swimbaits in various sizes to match the season size of the shad, I’ll use a 3.8″ in early spring, 4.3″ as the summer turns on and then finally in the fall you could opt for a 4.8″ keitech, which really makes for a sizable offering! Just pair up the trailer color to match the color of the jig. Fishing a jig more or less means you are feeling for the bite along the bottom. This means you need to be using the most sensitive rod that you own. Your jig rod should, in my opinion, be your nicest rod and is where I invest the most when it comes to a rod. I think any jig rod should be over 7′ and no lighter than a Medium-Heavy with a fast to extra fast tip. My main jig rod that I would throw 1/2-1oz casting, flipping & football jigs is a 7’3″ Heavy Extra Fast GLoomis NRX (873C CRR) with a 7.1:1 Shimano Bantam MGL, spooled with 20lb Sunline Sniper FC. When I go for a lighter jig or a swim jig, I’m going with a 7’1″ Heavy Fast GLoomis NRX (854C JWR) with a 7.4:1 Shimano Curado, spooled with 18lb Sunline Sniper FC. Sometimes in stained water or around heavy grass, especially with a swim jig, you can get away with 20lb braided line. Occasionally you may find the need to make adjustments to your jigs. 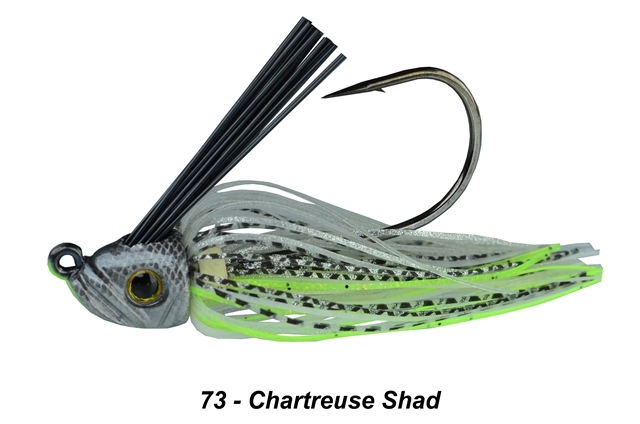 Maybe muddy water forces you to add a rattle to your jig. I use rattles from time to time when I feel the conditions require it. A few things I always do with my jigs are add scent and make sure the weed guard isn’t too stiff. Some people like to actually trim the weed guard, but I do not. I will spread out the guard to ensure the jig stays weedless but also has enough hook penetration to seal up those bites. 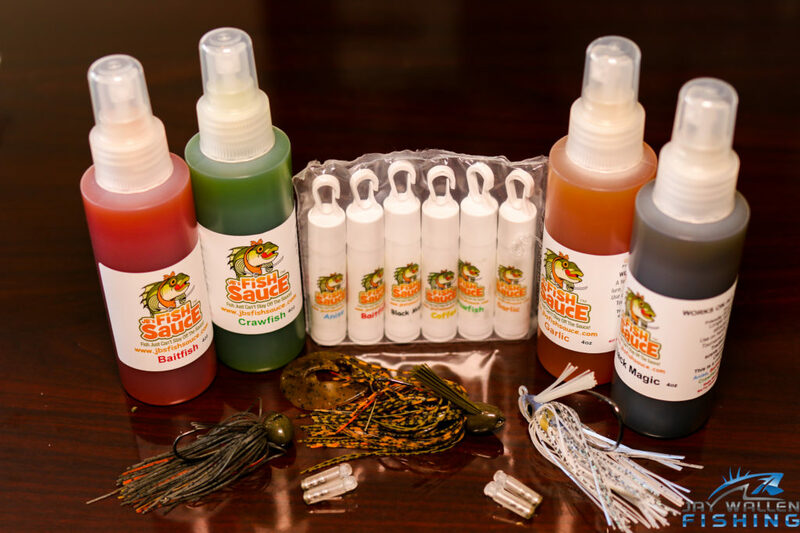 Depending on the jig I am throwing I will use JB’s Fish Sauce in either crawfish or baitfish scents, i think the spray is best way to apply to jigs but they have several products for scent application. I really believe that scent helps the fish locate the jig in muddier water and when they do bite I think the scent helps the fish hang on to the jig for a little bit longer.Trimming the skirt to just below the hook is a good practice as well. The shorter skirt tends to flare a bit more and reveals more of the trailer and just has a more natural look to it. 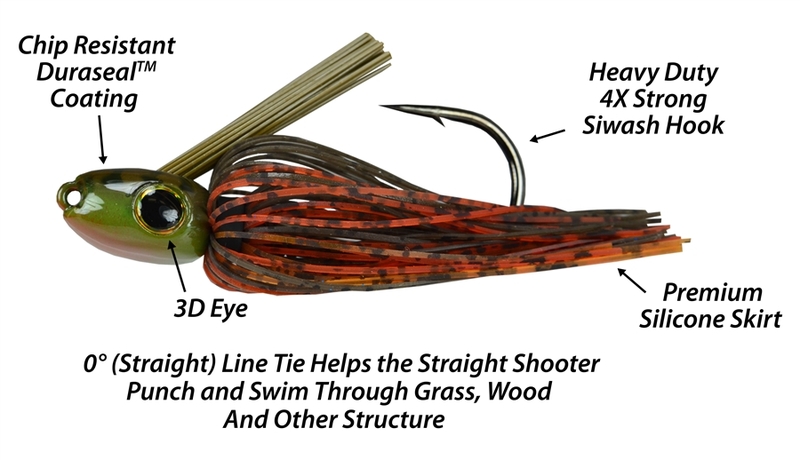 So, whether you are fishing shallow grass, docks, tree tops or river ledges, find a jig that fits and throw it and I think you’ll be surprised at the results. 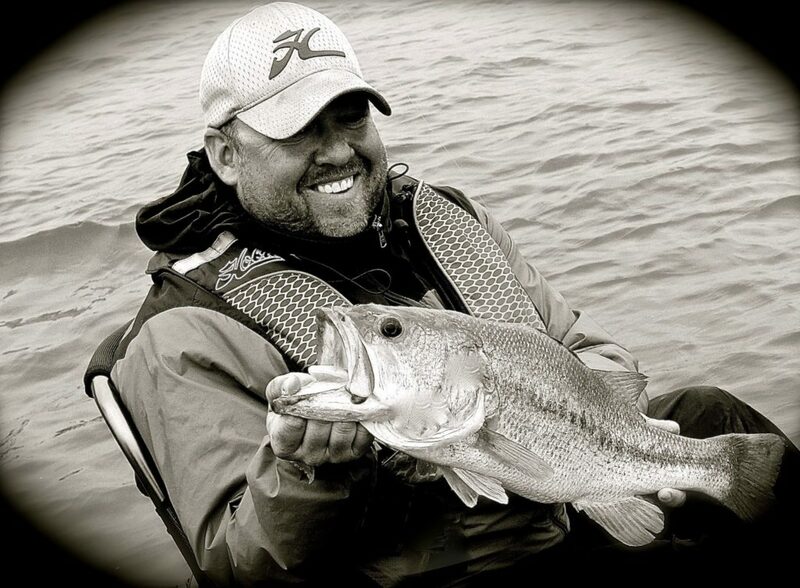 The post “Living on the Ledge” with Jay Wallen at Kentucky and Barkley lakes appeared first on Jay Wallen Fishing. 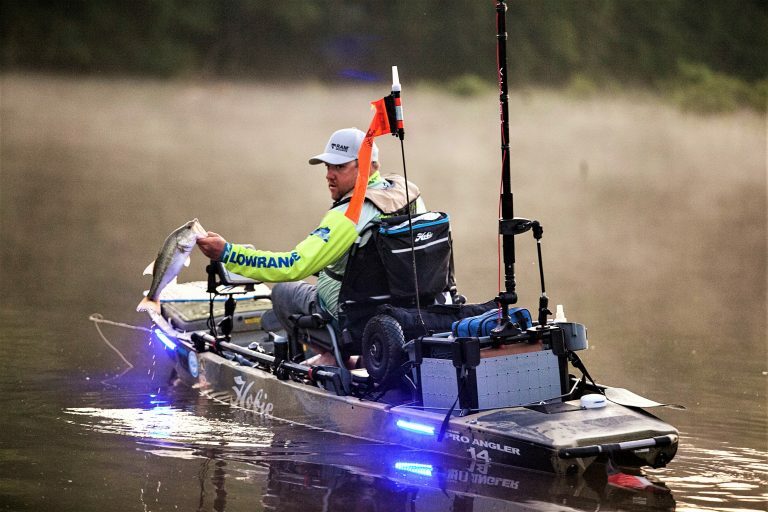 Wallen’s strength as a tournament angler stems as much from the versatility and ability to adapt, as from mastery of tough techniques.